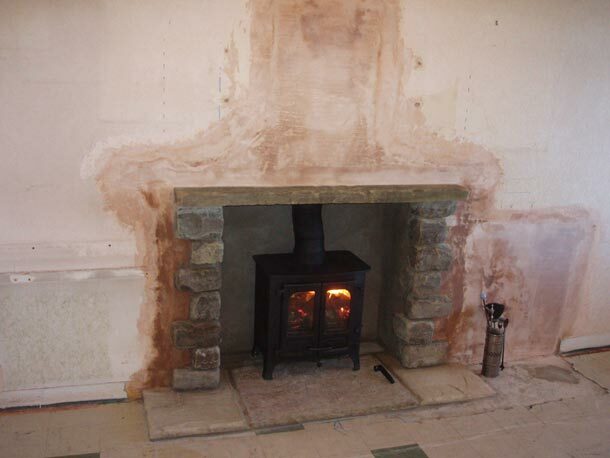 Very often we get a client requesting the installation of a solid fuel appliance (Stove) to replace a solid fuel open fire. 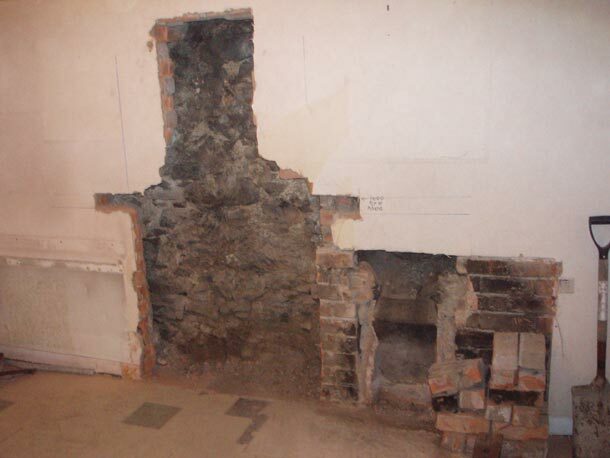 To accommodate the required hearth distance from the front of the appliance (300mm) the only alternative in many instances would be to remove the existing fireplace and dig the wall out to expose the builder’s opening/Inglenook. This can be a messy dusty job. On arrival to carry out this work, as much furnishing is removed from the room. If possible the carpet is rolled back. All furnishing left in the room is covered in new plastic and dust sheets. Extractor fans are set up to exhaust as much dust out of the window or door to outside. It is inevitable a certain amount of dust is generated and not exhausted out of the extractor, this is unfortunate but every care and consideration is given. 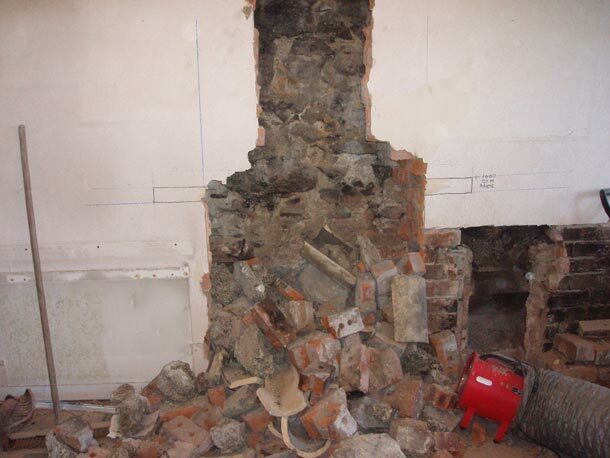 We now proceed with the removal of the fireplace. 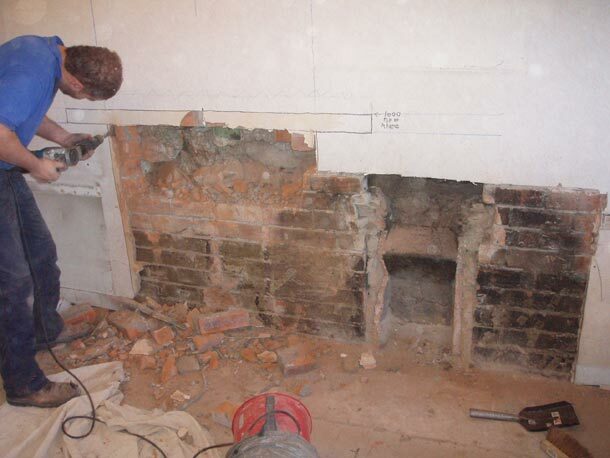 After removal of the fireplace the concrete lintel is exposed to see what height can be achieved. If the lintel is found to be too low another new lintel is fitted at a desirable height. 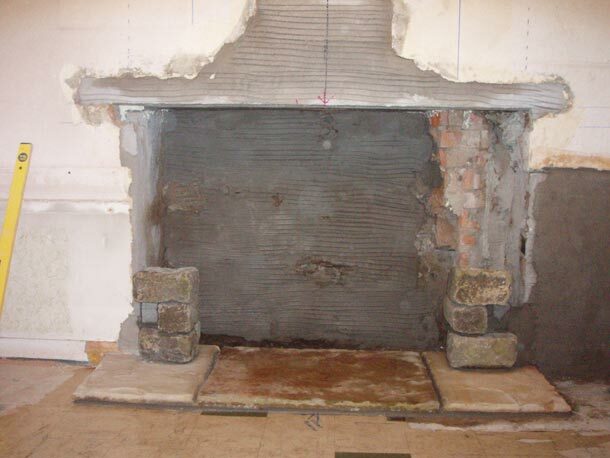 The Width of the recess is determined by the infill at the back of the original fireplace. Occasionally we expose two to three previous fireplaces which have just been left in place and another placed in front. Depending on the age of the property the older it is the more likely. 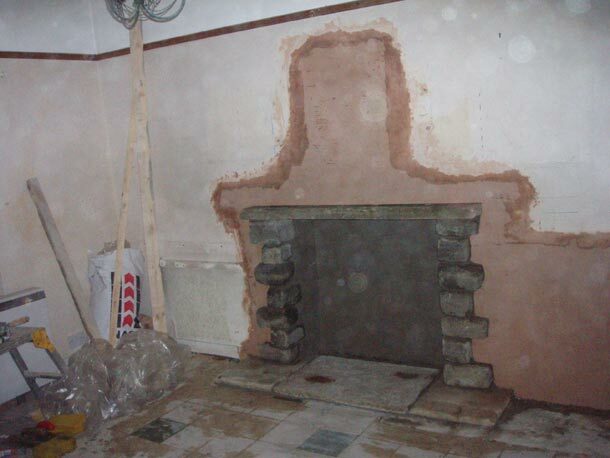 When the Builders opening/Inglenook is exposed a decision has to be made by the client as to whether the finish on the sides/Back of the recess is rendered with lime based mortar or pointed. 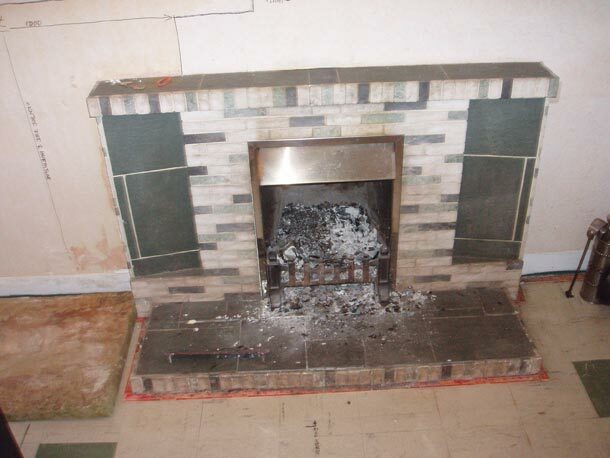 In a brick built property fire board could be used to square off the sides and back. The next decision would be the hearth, what would be the finish, A popular form of hearth would be machined slate, Slate tiles, Sandstone, there are many choices but must be of non combustible materials. When all this is completed the final job would be to make all surrounding areas good to plaster finish but no decoration, we leave that to the person in the trade. The Inglenook/Builders opening is now ready for the appliance to be fitted. Duration start to finish 4 Days. This chimney was lined using the Cast in Situ, and an air vent to outside was fitted. Removed fireplace. Client requested recess 1m left of original.